Hackers.mu was created around 2005 after the fall of the ex. hackers.com, which Pirabarlen was a member of. Back then it was just a forum where members from different parts of the world used to hang out and discuss IT/development and hacking related issues. Later on, around 2014, Lvv joined the ship. Following the situation in which we found ourselves in 2014, where many youngsters we met in the IT sector, were devoid of a real coaching and needed mentorship. We decided to try our approach at fixing this issue. Hence, we (Pirabarlen and Lvv) co founded hackers.mu v2 that we now knew before. We were then joined by Njm, Anoop Seburuth and Cv Shortly after we decided to have our first honorary member, Avinash Meetoo, for the excellent work he has been doing in this fast moving sector. Ever since the group was created, we have been proving again and again that together with passion and eagerness to learn and given the opportunity, people can achieve a lot. It has not always been easy to do so. We have as at now, financed our major activities by digging from our own pocket and together with a few sponsors who have been supporting us, we shall keep thriving for the betterment of Mauritius and the local IT Sector. We plan on doing this as long as the passion keeps burning and for this we will always be looking for new members thirsty for knowledge and sharing of knowledge. Now small intro of what we actually do! Now small intro of what we actually do! We are a group of working professionals. We do not claim to be the best developers out there, but we do our best to contribute to different opensource projects that we feel we can contribute. We also try to spot anyone interesting who can be part of that pool as we go along, we are always on the lookout for talents. We are mostly interested in hacking/coding, we love doing it, and we want to help others who share the same passion to reach their full potential. 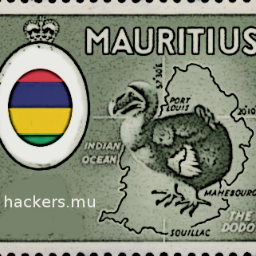 We aim to share the passion of problem solving and programming to the newer generation of Mauritian hackers, we want to train and push the limit of the Mauritian programmers. We believe that such a step represents a great opportunity for the whole island, as after all, imagine how beneficial it is for the economy itself if we can somewhat provide a way to guide younger developers in their very early steps. Investors will also be happy about it. Drop that image of the lonesome hacker, coding in his basement or in his room.Let's change that! Let's be a strong team, let's hack together around lots of pizzas, more discussions and beer. Well for one we don't charge anything, this is purely for the benefit of Developers, so many developers contributing to different opensource projects out there, some are even free as in gratis, nobody cares for the benefits of these individuals who gave their time for some users. With hackers.mu at-least we do get some fun together, opensource developers from different countries can just meet us up if they are around. Hopefully as time goes by, we can have multiple hackers.mu places all over the world . A Safe haven for Developers. As time went by, some members have shown interest in monetizing hackers.mu. We at hackers.mu believe that we have a sacred mission in educating our youngsters. We have invited those users who do not believe in our philosophy to feel free to move out. We may have been reduced to fewer members, but we still value our original aims.